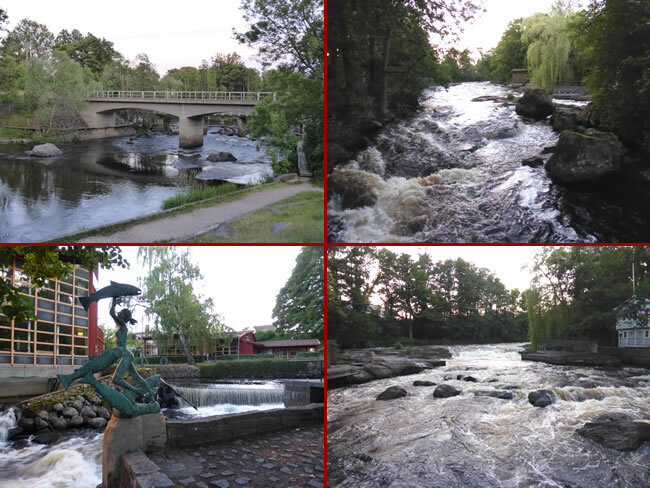 Here are some more photos we took on our walk along Mörrum River near Laxens Hus (the Salmon House) which house a small museum about the area. Next to it a small bridge took us over a fish trap. The rapids gave way to slower moving pools further down. A sign tells how a farmer from here donated the land along the river bank for fishermen. Not far from there is where we stopped for the night.